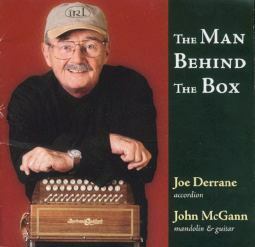 From the time he was a teenager making 78s in the early 50s Joe Derrane's music has influenced 3 generations of Irish, Quebecois and Cape Breton musicians. Locally his regular appearances at the Celtic Colours festival have reintroduced him to younger Cape Breton audiences. Joe's technical mastery of the accordion is undisputed. This CD, his latest, tells the story of his amazing come-back. In his mid '70s but still at the top of his game, his new recording contains lots of rare tunes, old chestnuts and unique settings.